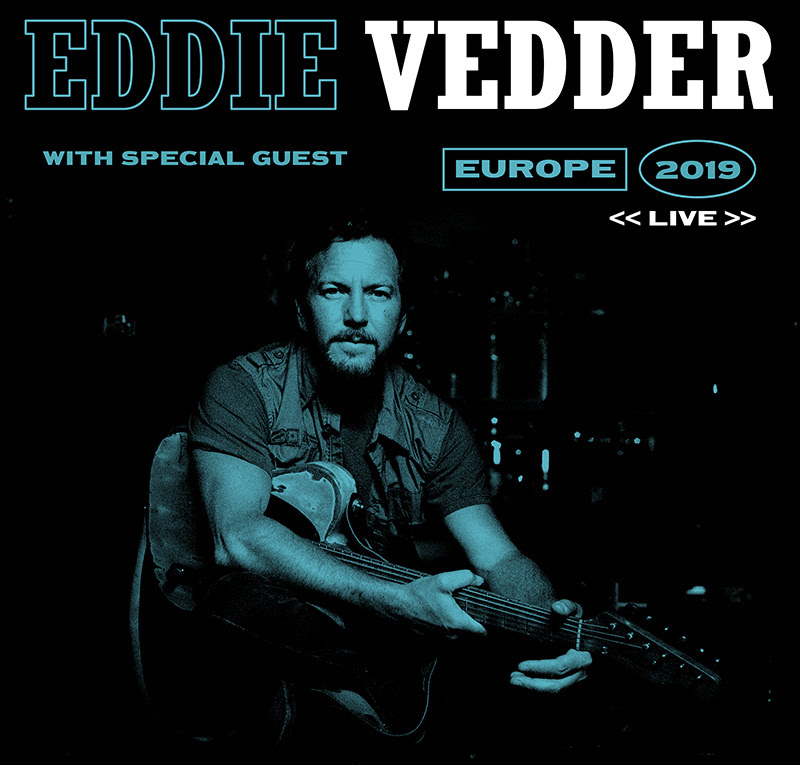 Pearl Jam has announced that their upcoming album will be delayed Eddie Vedder will be touring Europe this summer. 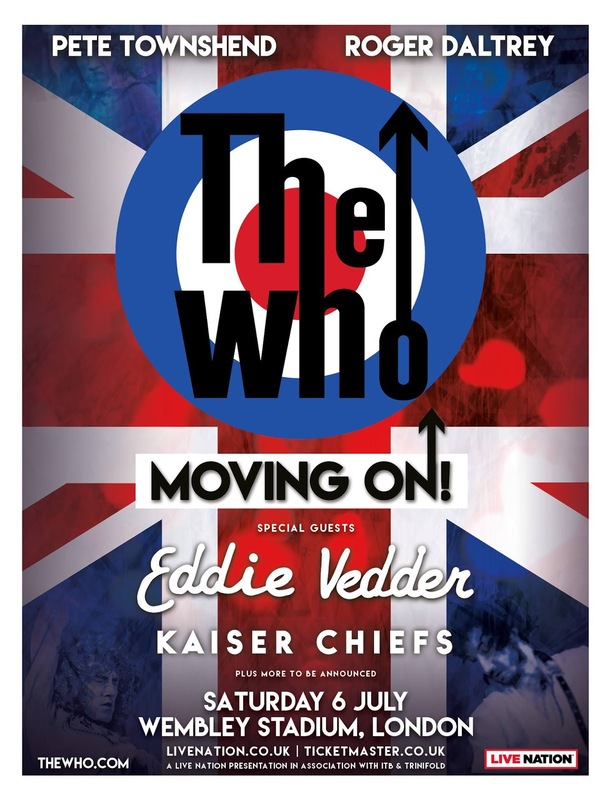 He'll start in Amsterdam and wrap up with his London show with The Who. Fan Club members can visit the Ten Club website for information on tickets, or the public sale starts next Friday. 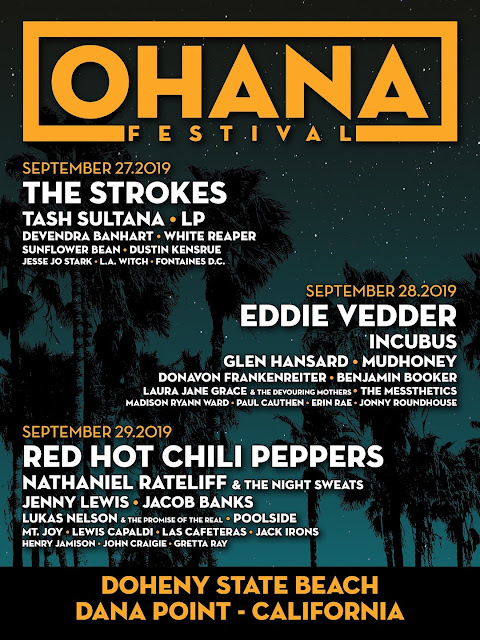 Once again, Eddie Vedder is going to be headlining a night at the Ohana Festival at Doheny State Beach in Dana Point, California. He will be headlining night two (September 28th) with The Strokes headlining night one and the Red Hot Chili Peppers headlining night three. He also appears to be curating the festival this year. 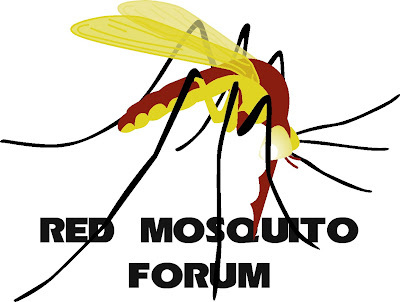 For full lineup and festivalinformation go here. Fan club members got an e-mail with details on a presale and discouts, or public tickets go on sale at www.OhanaFest.com on Friday, March 8th at10am PT and range from $127.50 - $1,300.00 before fees. The Record Store Day website has released its list for April 13th, and it includes 6,000 copies of Pearl Jam's Live at Easy Street on vinyl. The website says "LP," but details on the UK site show a tracklisting that was the same as the 2006 EP. 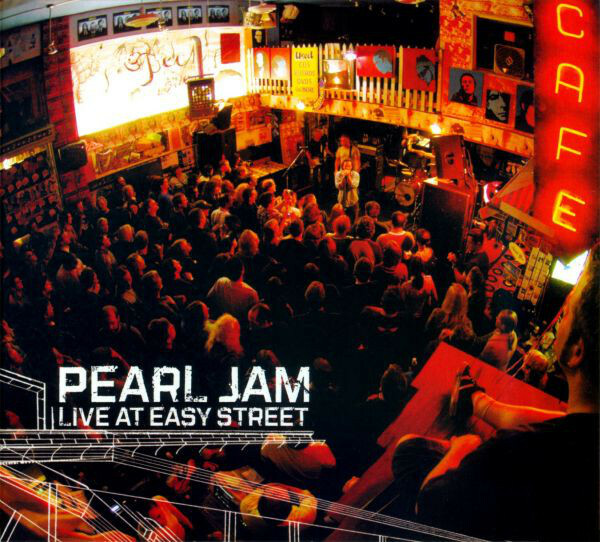 Pearl Jam' s live performance from Easy Street Records from 2005 now available on vinyl exclusively for RSD 2019. 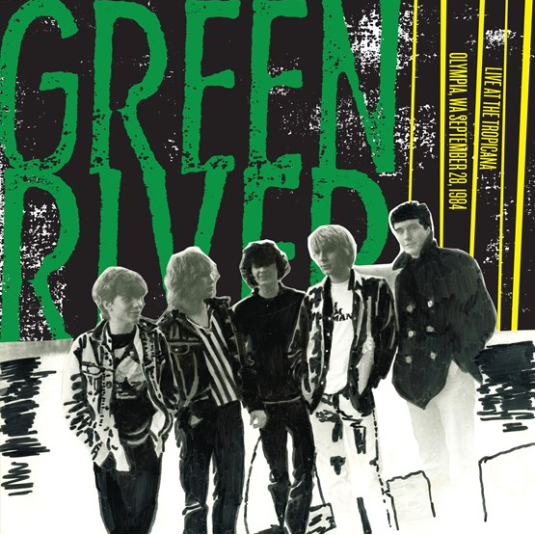 Single LP in Gatefold package. 1/2 Full, Lukin, American In Me, Save You, Bleed For Me, The New World, Porch. Pearl Jam Are Your 2019 Record Store Day Ambassadors! What does that even mean? Well, not a whole lot. Are we getting a really cool Pearl Jam release this April 13th for Record Store Day? Previous Ambassadors (Run The Jewels, St. Vincent, Metallica, Dave Grohl, Chuck D, and Jack White) have put out RSD releases while serving as Ambassadors, but some have not. Given that Pearl Jam, as a band, has not regularly released anything on Record Store Day, and that they have a new album in the works that is, by all accounts, nowhere near ready for release, we'd have to guess that if something is coming, it won't be mind blowing. Have we gotten a little bitter about the lack of great Pearl Jam releases over the past five years? 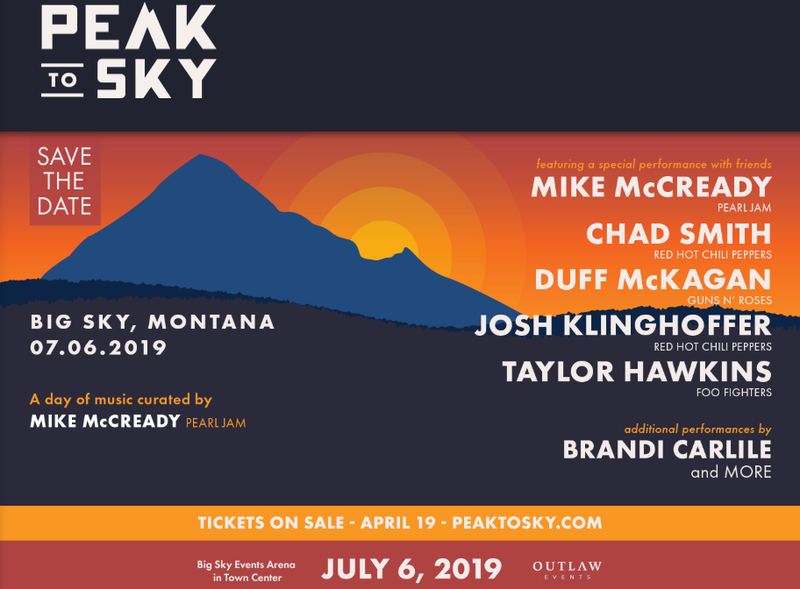 Still, don't forget to look for the official list of releases, and enjoy Pearl Jam's official video including Mike McCready record shopping and footage from the band's 2005 in-store performance at Easy Street Records in Seattle. 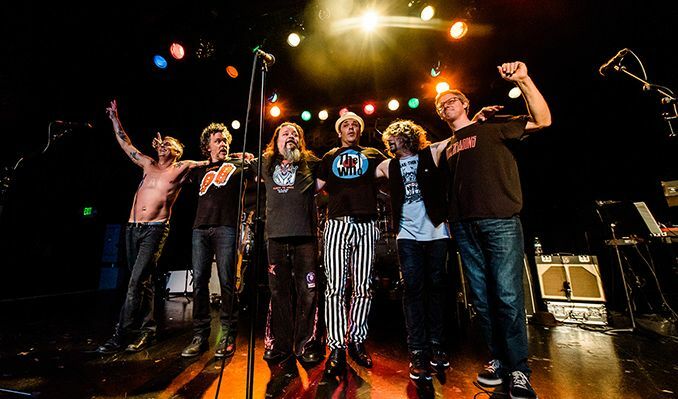 Pearl Jam March Madness Starts Now! Our Annual March Madness bracket went live this morning featuring not just all of Pearl Jam's songs, but the definitive live version of all of Pearl Jam's songs. If you haven't checked out ridleybradout's reissue/sequel to the our original Green Habit compilation, it's time for you to do it, because you need to vote for best Pearl Jam song. Somehow, it's different every year! Here's where you can vote. Round 1 is open now! 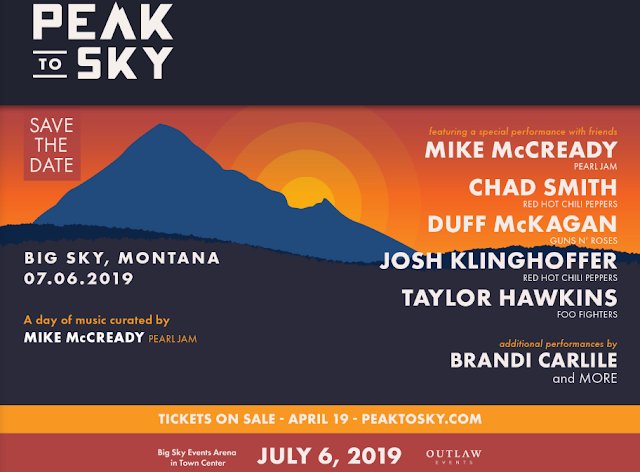 Some never-before-heard instrumentals by Eddie Vedder will be featured in the film, Return to Mount Kennedy, which is screen in various locations in the Pacific Northwest. Sorry for the late news, but Eddie is headlining the Collisionni Festival in Barolo, Italy on Monday, June 17th. 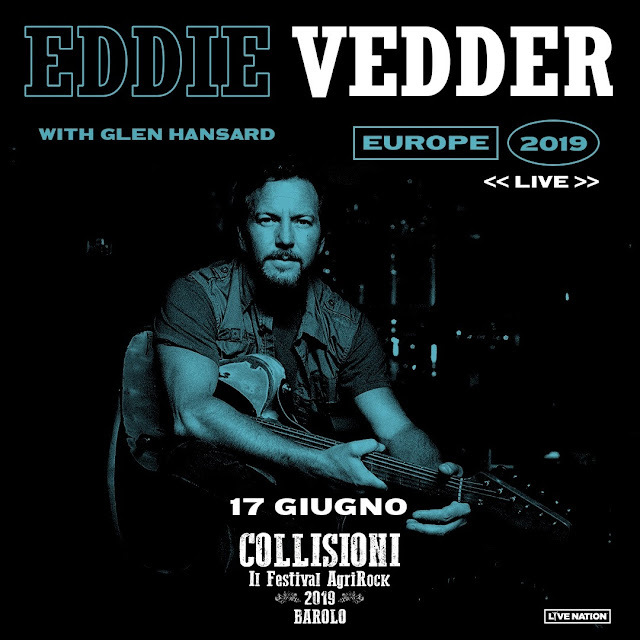 Tickets are already on sale via Ticketmaster and TicketOne. 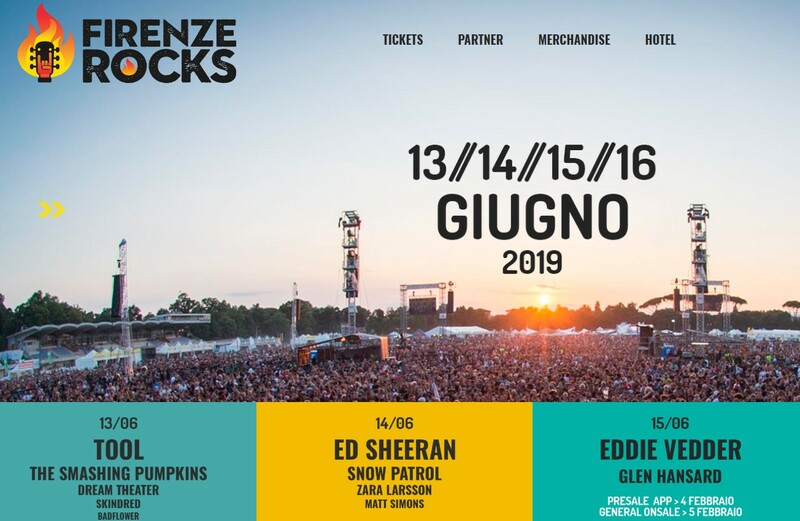 The Ten Club has announced that Eddie Vedder will be headlining Day 3 of the Firenze Rocks festival at the Visarno Arena in Florence, Italy. 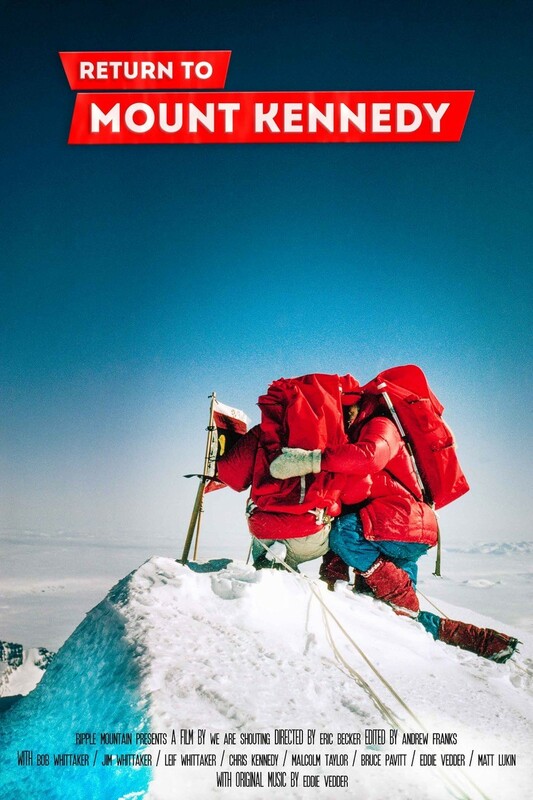 The Ten Club will not be conducting a ticket sale for this show. Tickets go on sale this Tuesday, for more information, download the Firenze Rocks app on iTunes or Google Play. Today, the Ten Club has announced that Eddie Vedder will be supporting The Who at a show at Wembley Stadium in London this summer on July 6th. Tickets go on sale this Friday, or if you're a member of the Ten Club, you've already gotten an e-mail telling you how to score tickets. 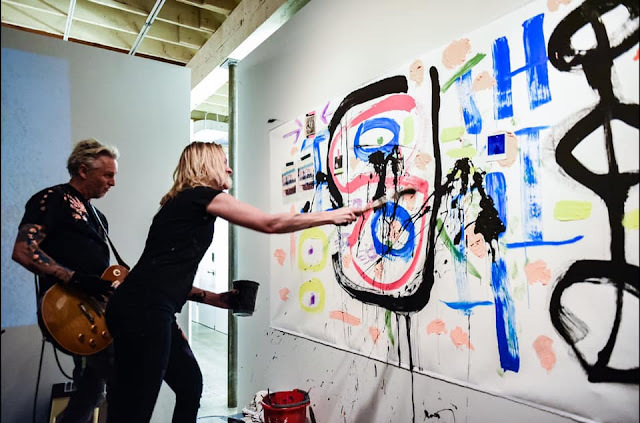 Pearl Jam's Stone Gossard and Jeff Ament recently spoke with Rolling Stone about progress toward Pearl Jam's next album and why we've been waiting longer for this than any other Pearl Jam album. ... but ultimately, has no explanation as to why the band hasn't worked together to record an album. Unfortunately, those are not the words of a band with a passionate message to get out. Although Stone admits that he enjoyed being able to release "Can't Deny Me," there is little else in the article to tell us that the band is excited about working on this album. 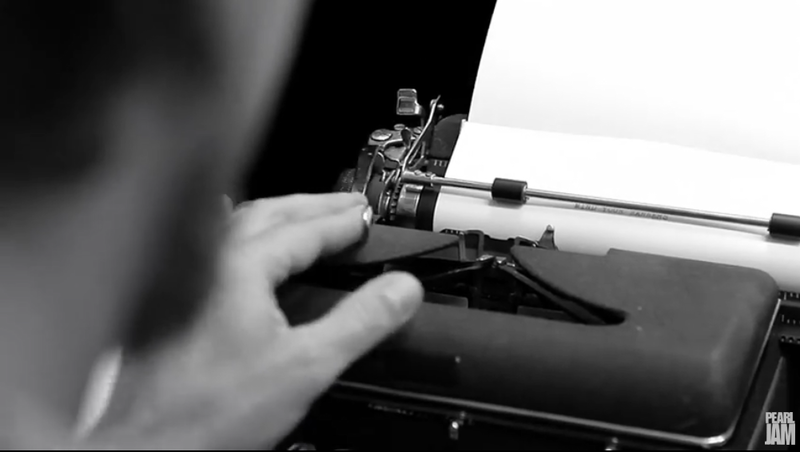 We're either going to be waiting a long time, or we're going to get an album from a bored band, writing and performing out of a sense of obligation. Neither of those options sound good for the near future of Pearl Jam. 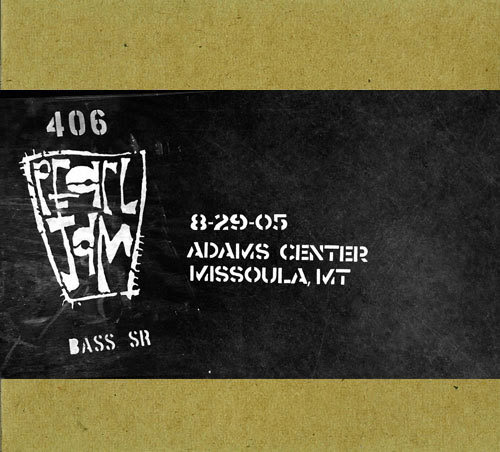 The vinyl Vault Release has started shipping, so you can now purchase Pearl Jam's 2005 Missoula, Montana show on CD ($17) or digital download ($10).